High durability and hydrophobicity due to Diamond-Like-Carbon coating on tip side of the cantilever. 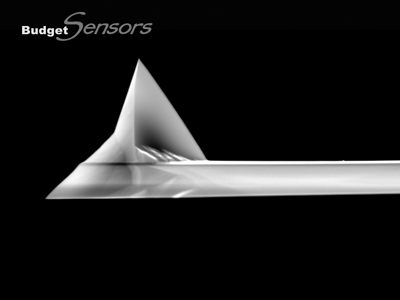 BudgetSensors' Tap190 series features a longer cantilever and it is meant as an alternative to BudgetSensors' Tap300 probes series, when the feedback loop of the AFM system does not accept high frequencies (400 kHz) or when the detection system needs a minimum cantilever length > 125 µm. 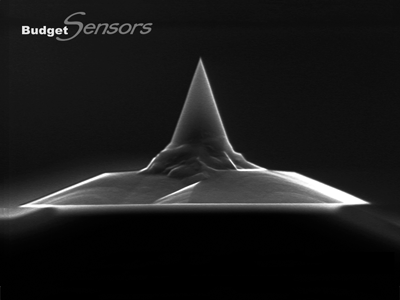 The scanning speed of Tap190 series AFM probes is slightly slower than the scanning speed of the Tap300 series.